The Gulf of Aqaba is a place known to have one of the most beautiful dive sites of the world due to the amazing combination of sea life, corals, water transparency and nice weather it offers year around. The sea in the Gulf of Aqaba is almost invariably calm with temperatures varying between 19/20 C in winter months to 26 C in summer. You would be able to enjoy diving in the Gulf of Aqaba whether you are an experienced diver with our Guided dive or a beginner with our Try Dive supervised by our dive operators and qualified instructors available for every level. You would also easily find diving equipment rentals and everything you might need for diving available at our dive center. 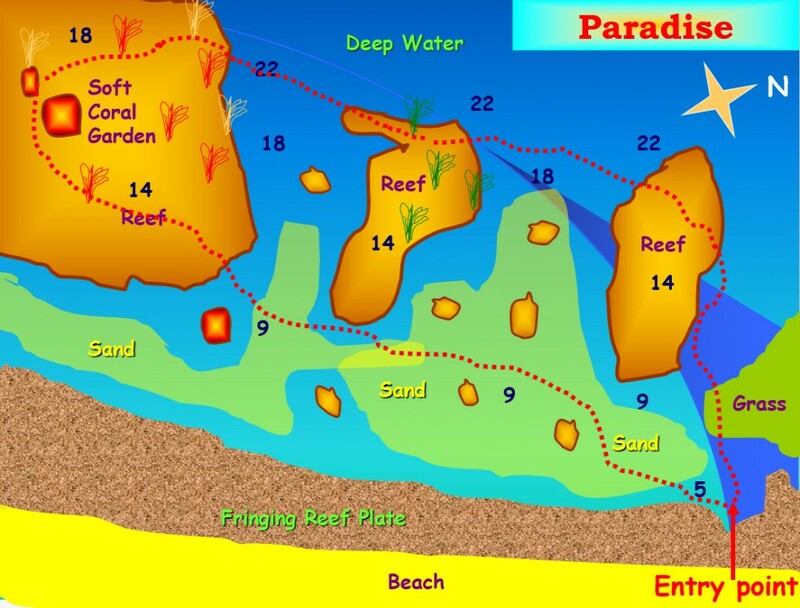 There are over thirty main dive sites Aqaba, most of them suitable for all levels of diving skills. 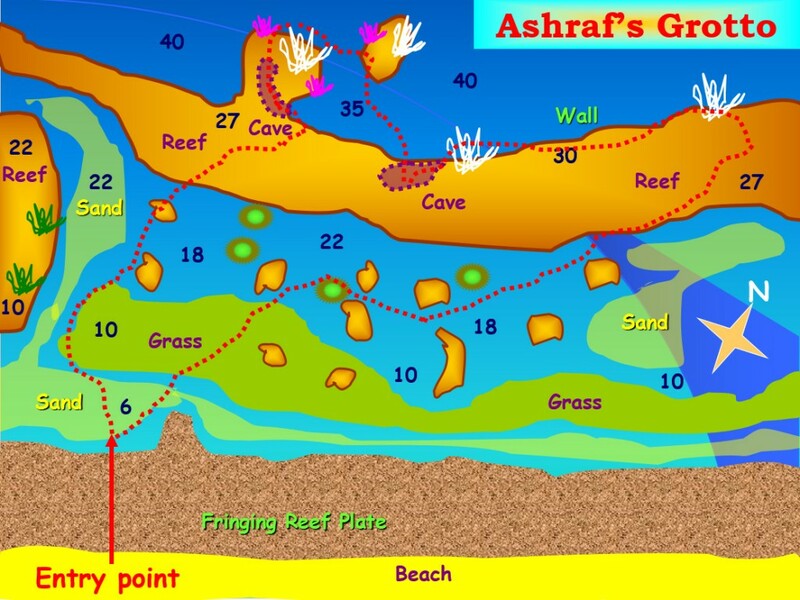 All Dive sites in Aqaba are fringing reef stretching for a distance of over 25km right down to the Saudi Arabia border, there are no off-shore reefs. 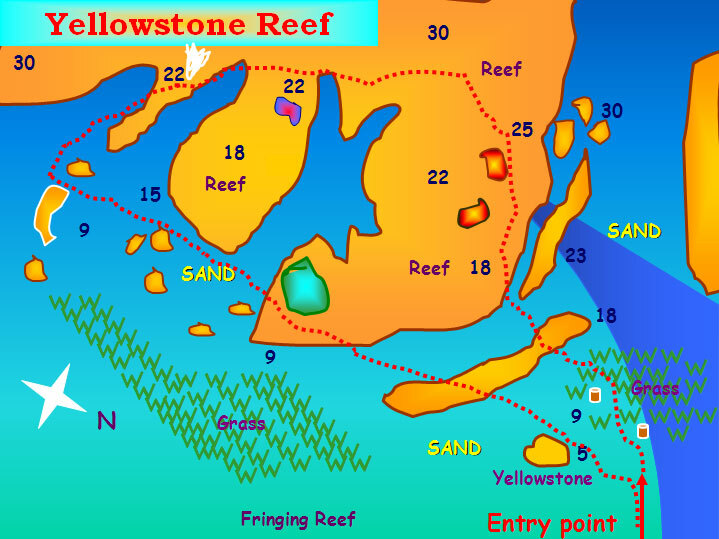 The reef starts literally at the waters edge and extends like the fingers of your hands into canyons leading to pinnacles and drop offs. At most dive sites in Aqaba, when you are only 100m from the shore you are already descending to 50m or more. When shore diving, the dive starts as soon as you enter the water and continues until the last few centimeters. The beaches are all easily accessible and our transportation will drop divers right up to the waters edge. This site is also known by the name of ‘Paradise‘. Although currently only accessible by boat, this is a beautiful site and great if you’re interested in doing some underwater photography. 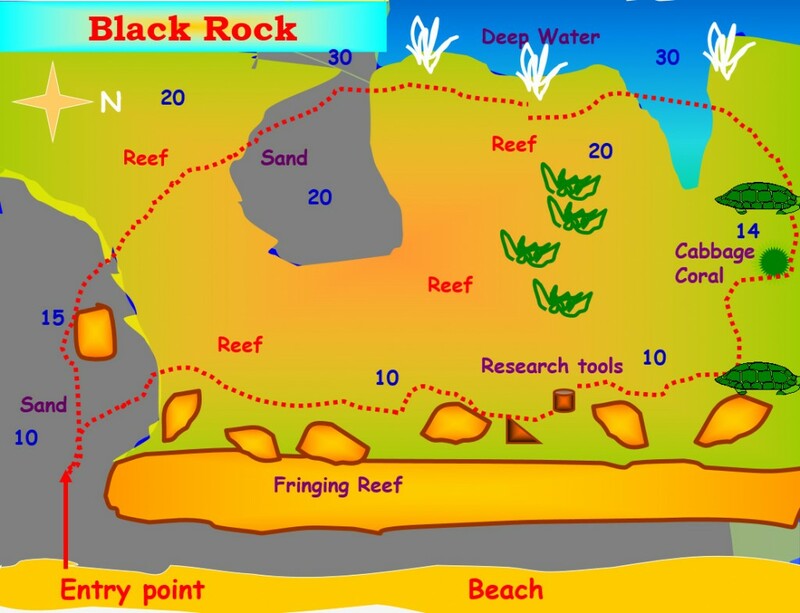 The Black Rock dive site is one of the most popular dive sites purely because of its location at a private beach club, Black Rock is another great dive for beginners. 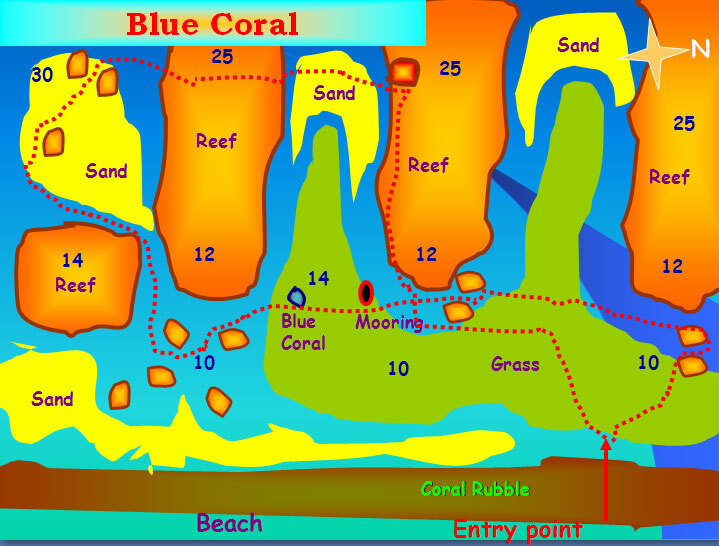 Blue Coral dive site have a Wonderful reef valleys run through with impressive pinnacles at the end of the valleys. 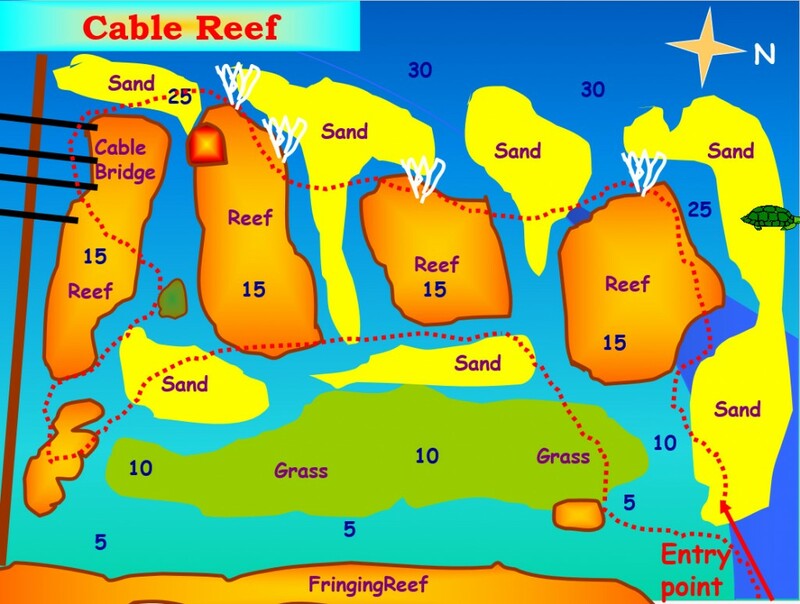 This site is good for spotting shrimpfish, seahorse and more..
Cable Reef, like the name has an electricity cables that connect Jordan to Egypt which become part of the reef. This is an amazing view with some occasional visits of turtles. 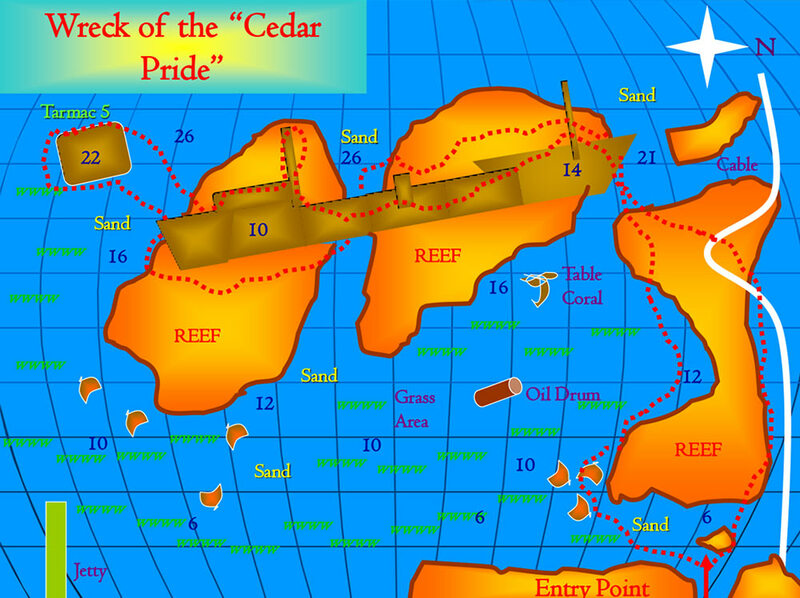 The cedar pride was scuttled for divers on November 16th 1985. The top this wreck is 10m and the bottom depth is 26m. You can dive inside the wreck, underneath and around it. 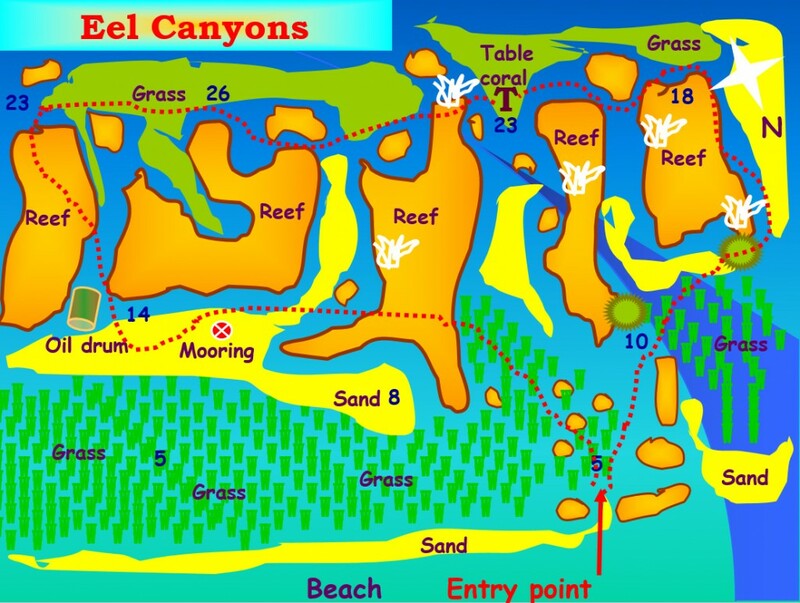 The Eel canyon is named after the garden eels that protrude the bottom of the canyons, to the west of Kirk’s Forest in 38 – 58m lies the Shorouk Ship Wreck. 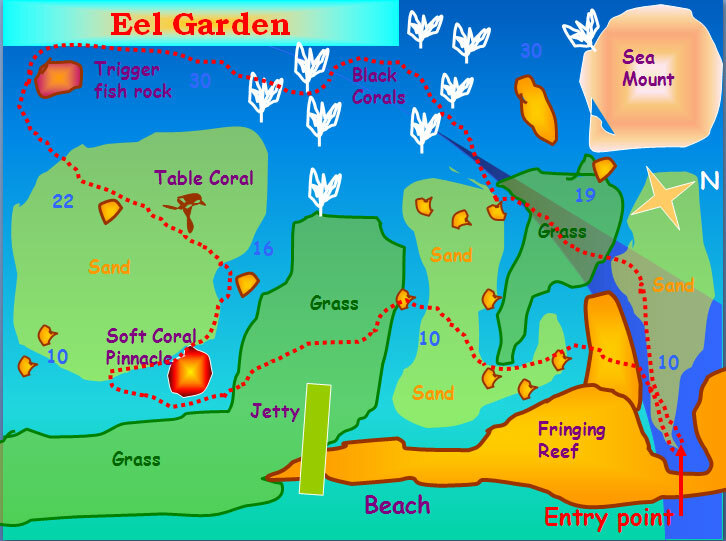 Eel Garden dive site is full with “small things”. Shrimp Fish, Ghost Pipe Fish and Pipe Horses. Other marine life are usually hiding in the black corals and other small marine creatures. First Bay North dive site is a drift dive site. it can be explored as deep or as shallow as you like, and offers you the chance to see turtles and rare frog fish. 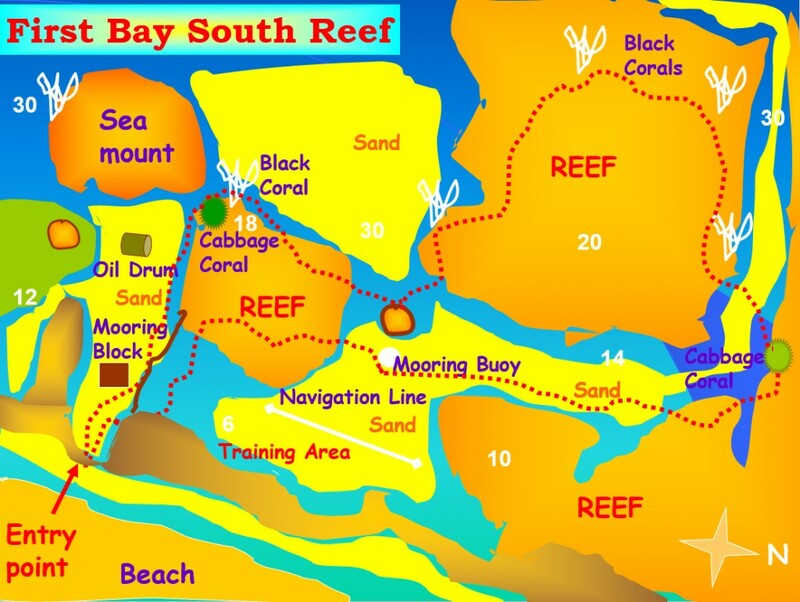 Once you get into the First Bay South dive site, you will find the cabbage-looking coral at the depth of 18m on the corner of the reef and then follow the counter of the reef. 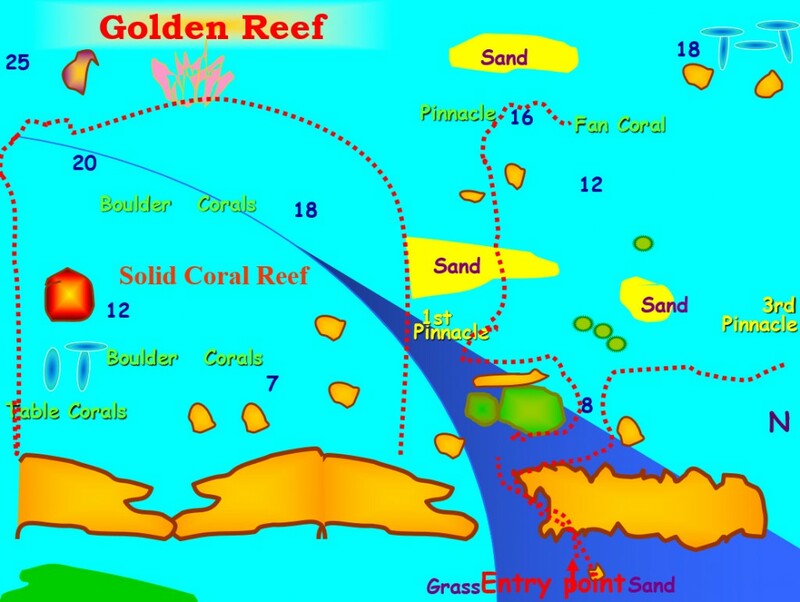 The Golden Reef Dive site has an interesting reef to explore in every direction. Huge shoals of Fusiliers are common here and the occasional Hawksbill Turtles and many Moray Eels. 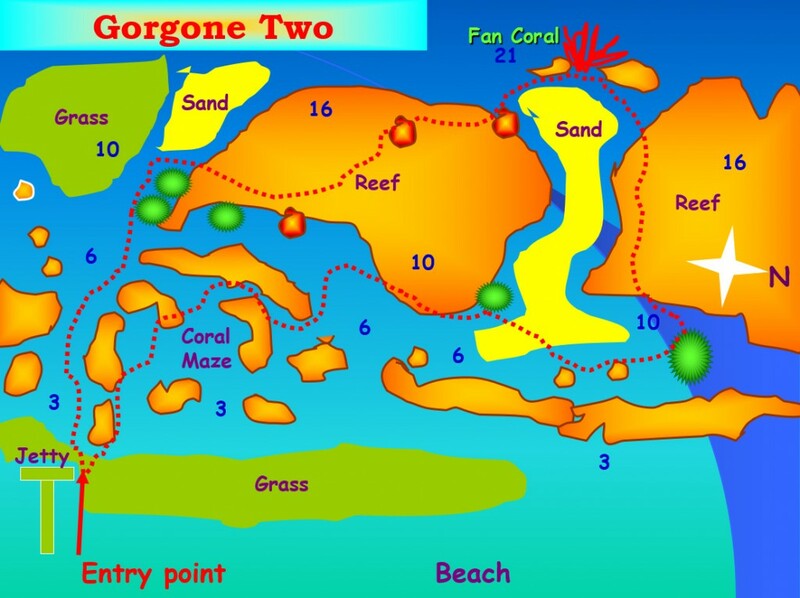 Gorgone I One Dive Sites is an excellent shallow dive in an area covered in coral. There are 3 pinnacles, each with its own ecosystem. The central pinnacle boasts a busy cleaning station. 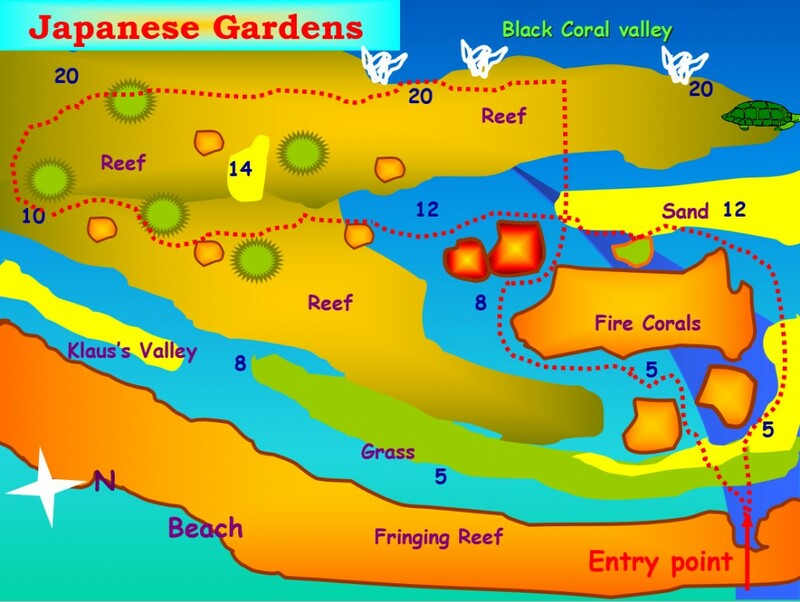 Japanese Garden dive site is known for its rocks and stones, this dive site has amazing flora and fauna and all at shallow depths. 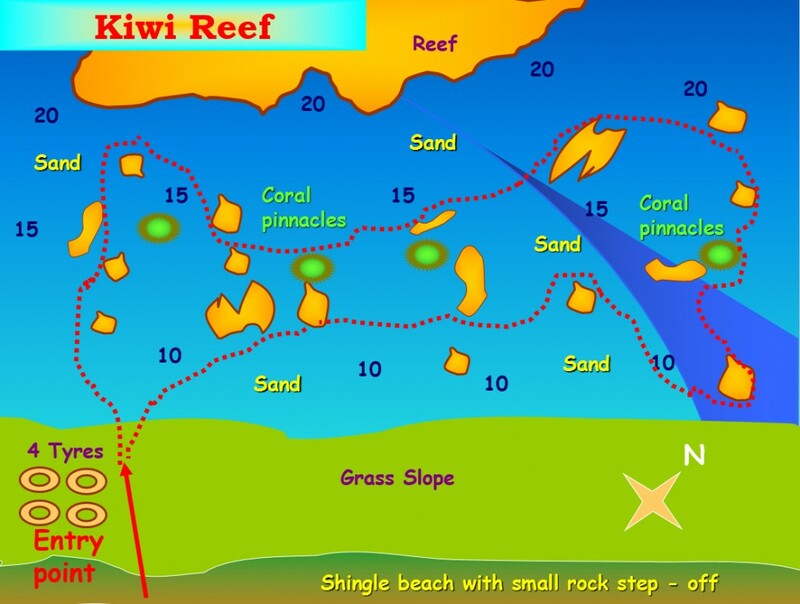 its popular for snorkeling as it is one of the prettiest dive sites. 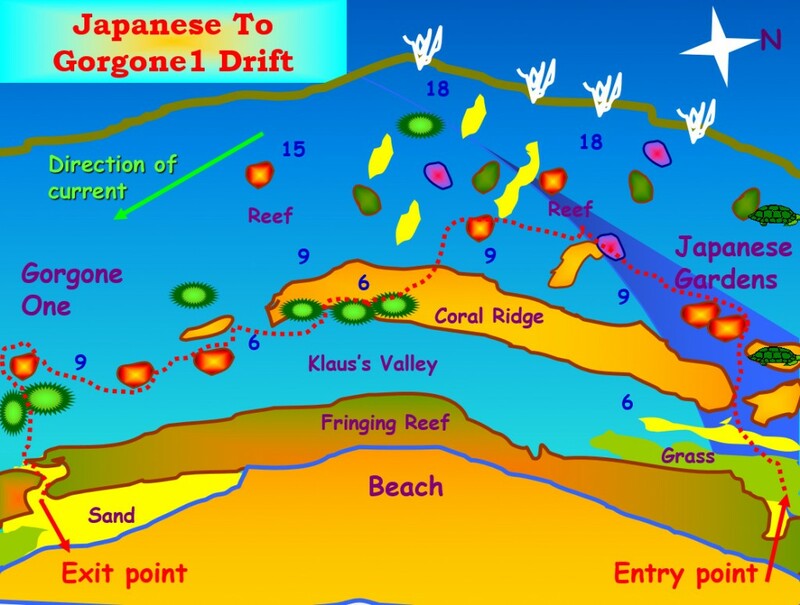 The Japanese Garden to Gorgone I One Drift Dive Site will take you along the reef gardens from the Japanese Garden to the Pinnacles from Gorgone I One time about 50-60 min. 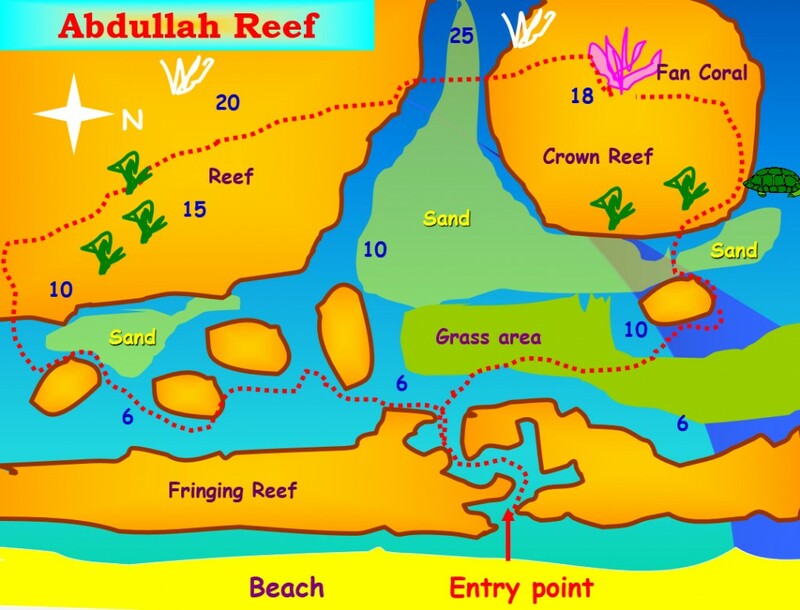 King Abduallah Reef dive site, named after the King Abdullah II, is popular reef for divers, with beautiful coral on top of the reef and larges shoals of pennant fish, and Torpedo Rays. Kiwi Reef dive site named after a diver from New Zealand. At the bottom of grass slope there are numerous small pinnacles form a breeding ground for juvenile fish. 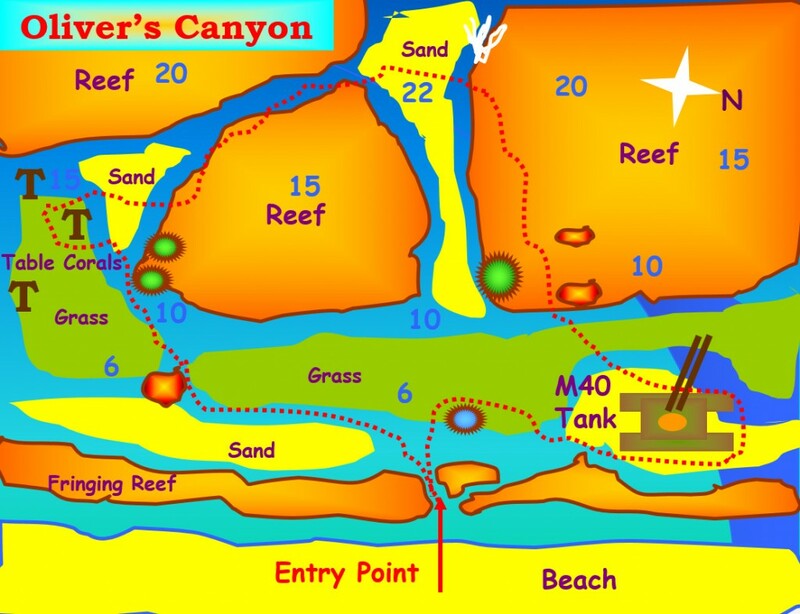 Oliver’s Canyon dive site enables you to dive a little deeper. 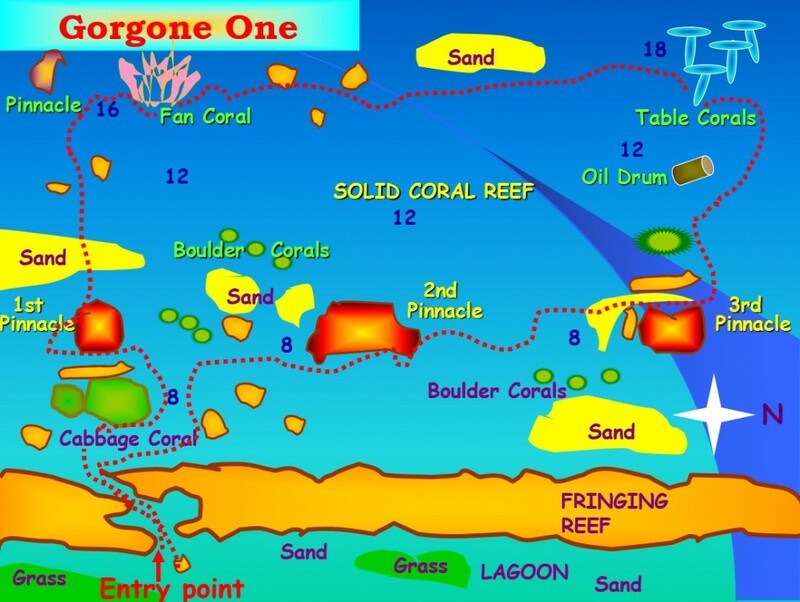 Swimming through the canyon’s reef and natural life, you are literally surrounded by coral reefs. 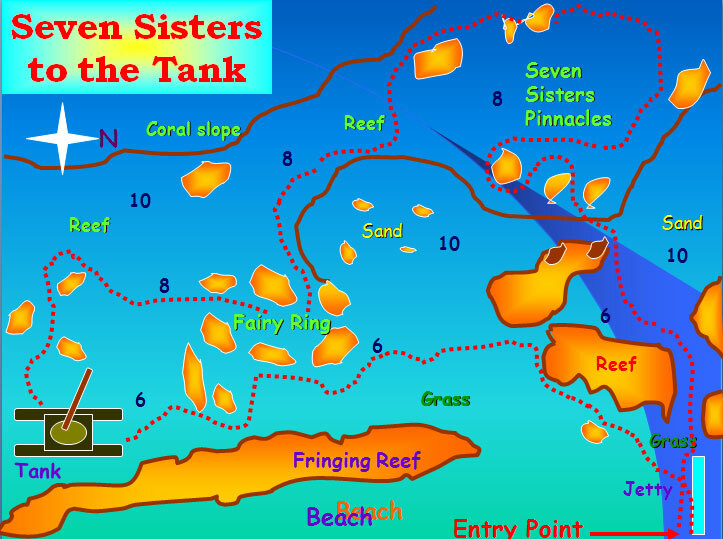 Seven Sister to the Tank has The M40 tank that scuttled in 1996. Many species found inside and around the tank as well as around the Seven Sister pinnacles that are close by. Yellowstone Reef gives you the chance of seeing a torpedo ray swimming here. Even before you reach the reef, you can find sea moth and pipe horses in the grass area.